My Furnace Won't Turn On - DeMarco Mechanical Services Inc. If you’re looking to troubleshoot your furnace and find the reason why your furnace won’t turn on, you’ve come to the right place. Although we cannot fully guarantee that the information below will fix your problem, and we do encourage you to call a technician, we do however know that a qualified heating technician will follow these steps when you contact them for troubleshooting. If your furnace doesn’t turn on, or won’t kick on, its always a first step to check the circuit breakers or fuse (see if they are blown). 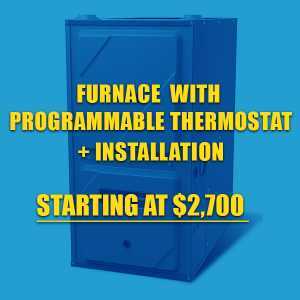 This applies to all furnaces, propane and gas too, as some electrical components require furnaces to operate. So maybe there is no power to furnace. If you experienced a power surge over the summer or when you tried turning on the furnace, there is a high likelyhood that your furnace needs a reset. If you see any of the breakers popped, reset them and give the ON button another try. And please do not try to tape a circuit breaker so it doesnt trip. This is a huge risk of fire and can cause damage to the heater and everything (one) around it. So, it looks like the first step was not very helpful. Time for Plan B. The second step is to check your thermostat if your furnace won’t turn on. Most new thermostats will lose their programming and reset automatically if they lose any power. Thus, default settings appear. Crank up the temperature and see if the furnace turns on. If its still quiet, hmmmmm…. Is your Air Filter Clogged? In many new furnaces, the air filter needs to be changed (as regular maintenance) for the furnace to run again. Clogged filters overtime can cause the furnace to over heat due to decrease of air flow. Thus, see what’s up with your air filter on your furnace. If your furnace has a pump, see if the float switch is in the down position. Be careful as collected condensation may have acid, so use protective gloves and wash your hands thoroughly. your furnace is unlikely to run with a triggered floating switch. If the floating switch is up, this is likely the cause for your furnace not turning on. If the above where not the solutions for your furnace not turning on, then, it is best to call an expert to take care of further actions. It is not recommended to diy repair or troubleshoot a furnace, may it be gas or electrical yourself, especially if you have little experience with gas and electricity. 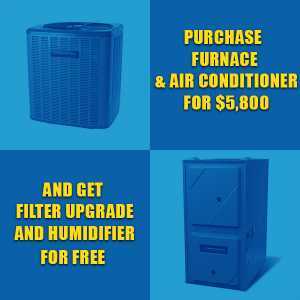 Thus, we recommend you to call us for a quick checkup and take further steps necessary to fixing your furnace. 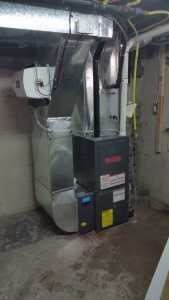 We will ensure that your furnace turns on, when you want and automatically.